It is becoming more expensive for the government to maintain the lighthouses, and GPS technology has made their navigation services almost obsolete. Today, more lighthouses are falling under the 2000 National Historic Lighthouse Preservation Act, allowing the federal government to sell the landmarked beacons, reports the Wall Street Journal. 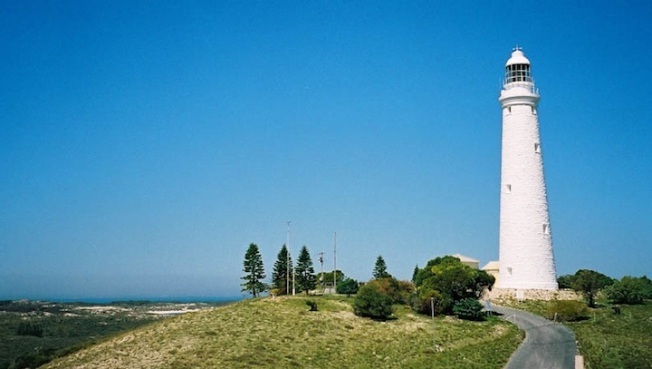 Since the act was passed, 33 active lighthouses have been auctioned off to private owners. There are 700 lighthouses still standing in the U.S., most built in the 19th century with the highest concentration on the Northeast coast and in the Great Lakes region. The reason for their boom in real estate is two-fold. It is becoming more expensive for the government to maintain, and GPS technology has made their navigation services almost obsolete. Once purchased, it is costly to maintain an offshore lighthouse into a luxury retreat. Costs include provisions for all utilities -- power, water, and sewer, and there is constant work to maintain. Because of this, the private lighthouse might be the ultimate status symbol for those in search of a great place on the water. With deep pockets, however, owners are able to transform lighthouses into "fantasy waterfront retreats." Navarro, who bought a 48-foot-high getaway, is dealing with a home with a bright green light that flashes every six seconds, and an electronically sensitive foghorn so loud that there's a sign on the first level that reads, "DANGER: Hearing Protection Required In This Area." Her lighthouse is currently active, and the Coast Guard keeps a set of keys. Some owners are able to sweet talk the Coast Guard into baffling one side of the foghorn to blunt its noise inside. But even if the noise probably can be fettered, there's still the cramped rooms, low ceilings, and small windows to deal with.